When an Englishwoman lands in medieval Scotland, quite literally on a massive highlander, she demands some answers. Rosealise Dashlock is not messing about. In her no-nonsense way, she wants to know the name of this Scottish warrior, why they share the same tattoos, and what mysterious force immediately draws her to him. 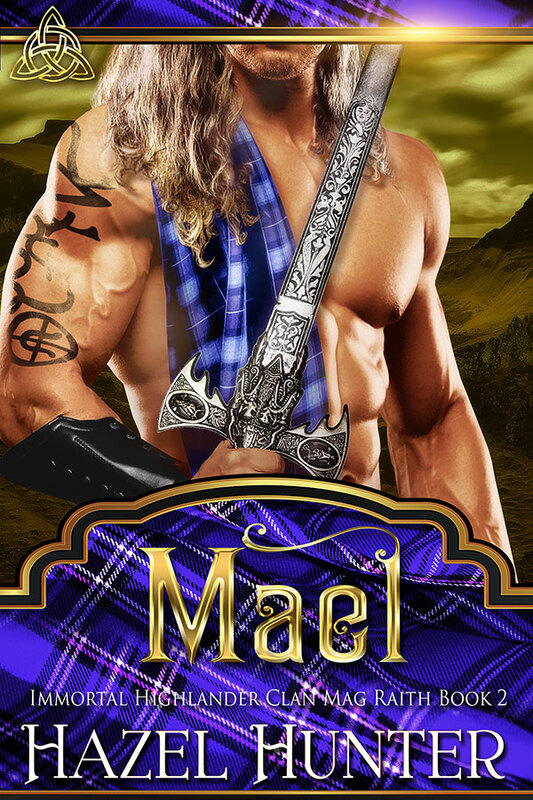 Mael Mag Raith may be the clan’s gentle giant, but he finds his patience sorely tested with Rosealise. Though he would do anything to protect the beautiful lass, she has a will of iron and a talent for getting her way. However as the clan tries to sort out her appearance, their enemies do not rest. Druid kind and Sluath now hunt the Mag Raith together, both all too willing to do whatever it takes to succeed.